Famous French perfume house Guerlain makes us fall into a sweet spring reverie unveiling the charming Guerlain spring 2016 makeup collection, for the campaign of which Russian beauty Natalia Vodianova stars looking undeniably feminine and fresh-faced. It would be difficult to give a single definition to this collection, as despite featuring just a couple of products, it still manages to be utterly diverse and versatile covering all our beauty desires for the upcoming warm season. Featuring products for face, eyes and lips, the collection mainly focuses on a feminine and soft color palette comprising delicious pinks, lilacs and radiant blush tones that will instantly revitalize your face after the long, harsh winter months. 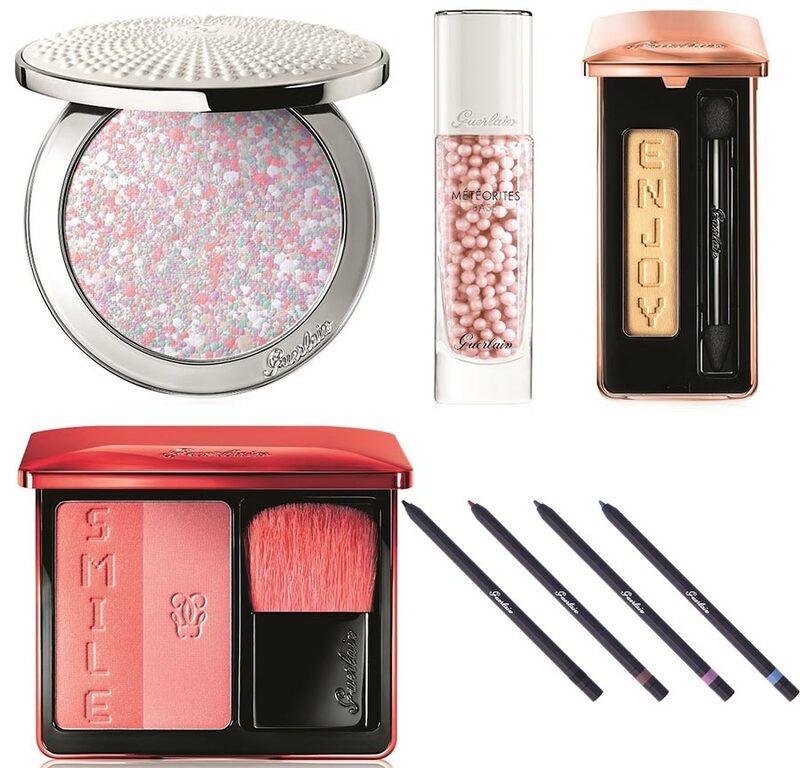 Set to hit the beauty counters and the online market starting with January 2016, the Guerlain spring 2016 makeup collection has the pretty little makeup treats to anyone’s taste. Find all the products and colors included in the collection below! Of course, the star product of the entire collection is the brand’s Meteorites compact powder coming to enhance the natural glow of your complexion illuminating it instantly. If not for the soft and powdery color and the gorgeous effect it boasts, one is sure to fall for the pretty packaging of the compact featuring a sleek silver case that’ll be so pleasant to carry in your bag wherever you go. 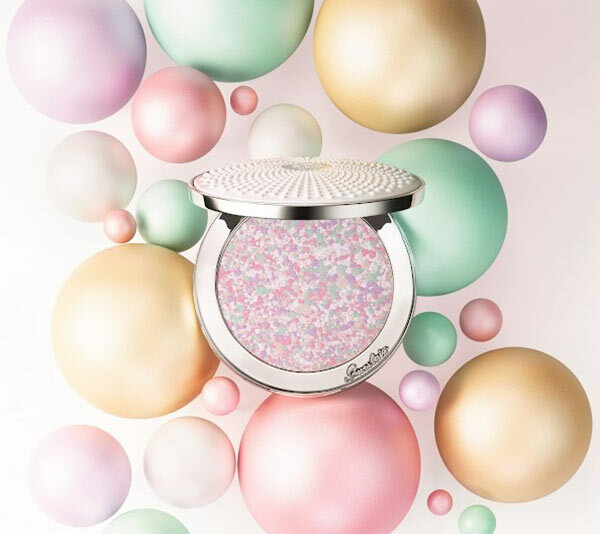 The illuminating powder boasts a matte effect and fuses such delicate colors, as pastel pink, green, lilac, pearl and gold that together will create a fantastic color explosion on your face. If you have already once owned Guerlain’s light-infusing primer, you’ll definitely rejoice at the news that the brand is relaunching its iconic product for spring. The product consists of multiple delicate rose pearls that stand out with their eye-catching sparkles, while also feeling perfectly silky and lightweight on the skin. This is the go-to product for boosting the healthy glow of your skin and creating the perfect base for your makeup, being the ultimate alchemy between skincare and makeup. With a single magic stroke, you’ll diminish any small skin flaws, softening fine lines and creating an even, matte base for your day or night makeup. The best thing about Guerlain’s new blush compact set is that it features two charming shades instead of one, letting you wear the soft pink color on a daily basis for giving the perfectly flushed look to your natural makeup look, while using the rose color for creating more intense makeup looks. The rose half of the blush inspires you to ‘smile’, while the brand’s logo is embossed on the delicate pink half. A small blush brush is also available in the set so as you could easily touch up your makeup without having to carry a blush brush in your bag. While the blush wants you to smile, this mono eyeshadow want you to ‘enjoy’ the warm and glittering effect it will create on your lids. This is the only eyeshadow available within the collection, being the versatile color you can take from day to night. To give a little more definition to your eyes, make sure you pick any of these new five eyeliner colors, which will glide easily on your lids creating some drama. 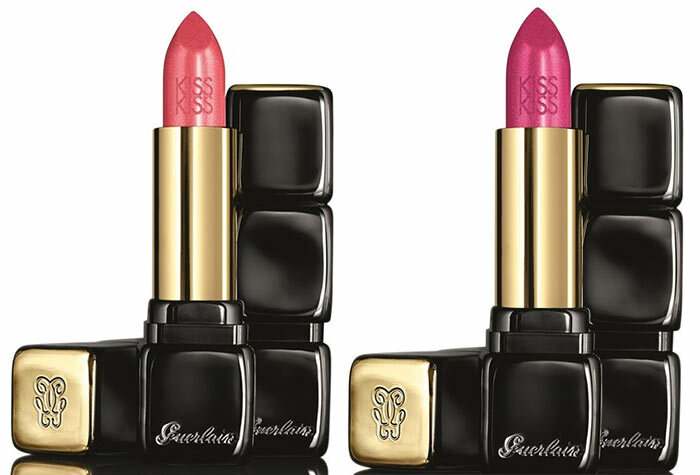 Last but not least, to create the ultimately juicy pout, the Guerlain spring 2016 makeup collection brings two new feminine lipstick colors that you can wear both on a daily basis and for creating dramatic night makeup looks.